Hardy's work challenged sexual and religious conventions in a way that few other authors of the time dared. Though his modesty and kindness allowed some to underestimate him, or even to pity him, they did not prevent him from taking on the central themes of human experience: time, memory, loss, love, fear, grief, anger, death. This engrossing biography identifies the inner demons and the outer mores that drove Hardy and presents a complex portrait of one of the greatest figures in English literature. Little Dorrit is Amy, born in debtor’s prison, the youngest child of debtor William Dorrit, an inmate of the Marshalsea. The two are befriended by a man whose wife hires Little Dorrit as a seamstress. When William Dorrit inherits a fortune, he escapes the Marshalsea. The family, assuming a station befitting their wealth, travel to Italy. When Charles Dickens died in 1870, The Times of London successfully campaigned for his burial in Westminster Abbey, the final resting place of England's kings and heroes. Thousands flocked to mourn the best recognized and loved man of 19th-century England. His books had made them laugh, shown them the squalor and greed of English life, and also the power of personal virtue and the strength of ordinary people. In his last years Dickens drew adoring crowds to his public appearances, had met presidents and princes, and had amassed a fortune. Like a hero from his novels, Dickens trod a hard path to greatness. 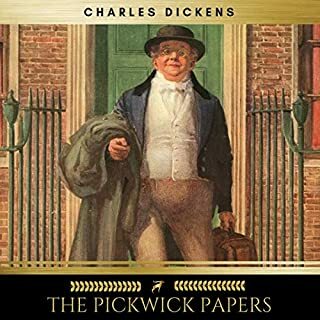 Born into a modest middle-class family, his young life was overturned when his profligate father was sent to debtors' prison and Dickens was forced into harsh and humiliating factory work. Yet through these early setbacks he developed his remarkable eye for all that was absurd, tragic, and redemptive in London life. He set out to succeed, and with extraordinary speed and energy made himself into the greatest English novelist of the century. Years later Dickens's daughter wrote to the author George Bernard Shaw, "If you could make the public understand that my father was not a joyous, jocose gentleman walking about the world with a plum pudding and a bowl of punch, you would greatly oblige me." 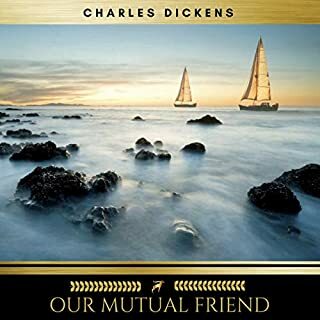 Seen as the public champion of household harmony, Dickens tore his own life apart, betraying, deceiving, and breaking with friends and family while he pursued an obsessive love affair. Charles Dickens: A Life gives full measure to Dickens's heroic stature - his huge virtues both as a writer and as a human being - while observing his failings in both respects with an unblinking eye. 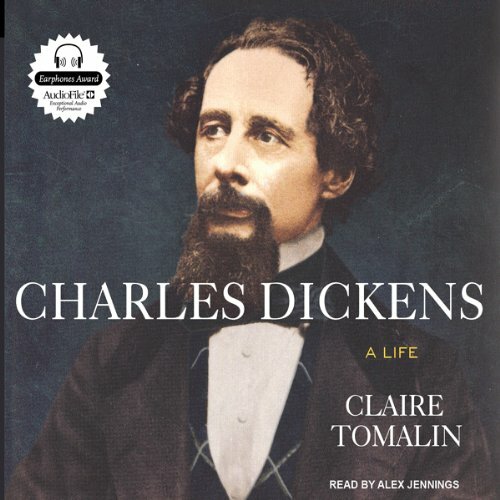 Renowned literary biographer Claire Tomalin crafts a story worthy of Dickens's own pen, a comedy that turns to tragedy as the very qualities that made him great - his indomitable energy, boldness, imagination, and showmanship - finally destroyed him. The man who emerges is one of extraordinary contradictions, whose vices and virtues were intertwined as surely as his life and his art. 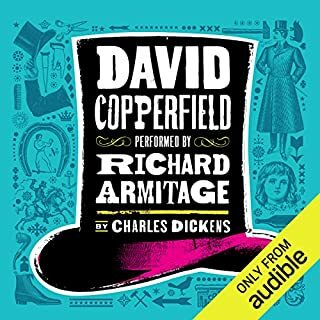 What made the experience of listening to Charles Dickens the most enjoyable? Claire Tomalin is one of the finest biographers working today. 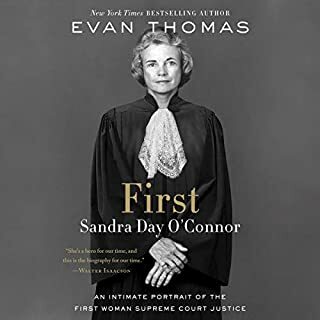 This is the fourth biography by her that I have read, and I have found only one--her book on Katherine Mansfield--less than superb. The complaints that the novels are not summarized or analysed in detail are absurd. Who goes to a genuine literary biography for plot synopses? The quibbling remarks about syntax are laughable. Tomalin is an extremely lucid and careful writer. The so-called slips are not based on current grammatical rules (and I taught English for years). I loved listening to this book as I am no longer able to read the print in most books. I do own this biography however and could at least follow along, mark my place, and look at the illustrations. I found the reading impeccable. What other book might you compare Charles Dickens to and why? 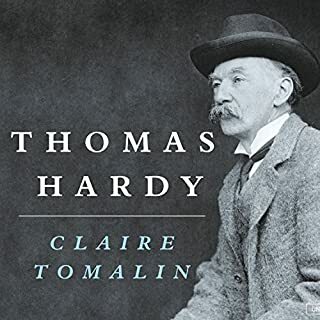 The book can be compared only to other great literary biographies, such as Claire Tomalin's book on Thomas Hardy and the biographies of Michael Holroyd. Alex Jennings, a great actor, is represented by many titles in the Audible catalogue. There is a good reason for this--he has a pleasing, resonant voice that the listener never tires of. It is a strong, sympathetic, manly, British voice that is perfect for reading a book about Dickens. I will seek out other recordings that Jenning has made. Heavens no. I spent two weeks on this book. Though not overlong, it is packed with information and insight, especially into Dickens's marriage and his friendships. I have read a great deal about Dickens, but I learned much more from taking my time in reading this volume. In some ways it's an Horatio Alger tale: Dickens didn't start out in a workhouse, like Oliver Twist, but his family came dangerously close in the early years. He worked frenetically and tirelessly all his life. But the tale of success is (for me) marred by the way he treated his wife: for years seeming to blame her for her repeated pregnancies, as if he had nothing to do with it; lamenting her increasing fragility, narrowed horizons, and haggard looks - again, as if he had nothing to do with it; and finally leaving her for a young actress, Nelly Ternan. His attempts at self-justification led him sometimes into cruelty. After their separation, he told others that his wife Catherine had never really loved their children; and they were, he said, just as eager to be shut of her. But it was Dickens himself who failed to love and appreciate his children: they usually disappointed him, and he made sure they knew it. People often accuse him of sentimentality - an accusation that's not easy to refute, because it's true. But it was interesting to hear that Dickens himself sometimes chafed under the restrictions of Victorian public morality. He yearned for the continental freedom to depict life as it was actually lived. Like Jules Verne, he was straitjacketed by the expectations of the public. He put his money where his mouth was, donating generous amounts of time and money to charitable organizations. He helped found and for years supported a home for prostitutes who were trying to break out of their trade, to get a second chance, to go somewhere new. And unlike most such establishments, there were no religious litmus tests to be applied before help was offered. He took prodigious amounts of exercise, rising early and roaming through London and the surrounding countryside for miles at a time. He died young - he was only 58 - but his heart had begun failing a couple of years earlier. He kept pushing himself on the lecture circuit, reading and acting out some of the scenes from his books with such fervor that it would sometimes take him days to recover. He did, in fact, have a minor stroke on one of his reading tours, but he plowed forward to the bitter end. If you've ever enjoyed Dickens, this is a good way to get closer to the man himself. Tomalin neither vilifies nor worships him. She presents him whole. thought this was an excellent overview of Dickens life. It really gave me a feel for the streets and milieu of his particular period of life. I enjoyed it especially when Ms. Tomalin reviewed his various novels and showed what was going on in his life at the same time. I had a glimpse of Dickens as a flawed, amazing man. This book is a phenomenal accomplishment of research and compilation. I cannot imagine that anything important about Charles Dickens' life remains unsaid. There is almost too much detail here, but one finishes this book with a very good understanding of the author, the place of each book in his life, and the dynamics of his authorship. You may be surprised that some of his best books are given short shrift, but then, this is about Dickens and not just his books. Very interesting read! 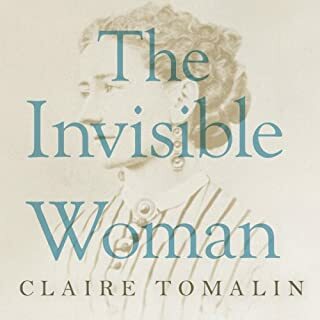 My next read will be another Claire Tomalin. Throughout my life I often wonder why the lives of 50 percent of our population are given so little attention. Tomalin sets the way. Women are not backdrop characters. I listened to this biography and Great Expectations simultaneously. Still consider Dickens use of language both unique and compelling.